Currently viewing the tag: "new"
Welcome to the new HHSL homepage! 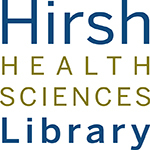 As you may have noticed, the HHSL homepage has had a makeover! Aside from being more bright and cheerful, the page has some new features and a modified layout. The following is a brief overview of the changes – we’ll highlight some of the new features in more detail throughout the coming weeks, so be sure to check back. The chat box is replaced with an Ask Us button in the header of the page. 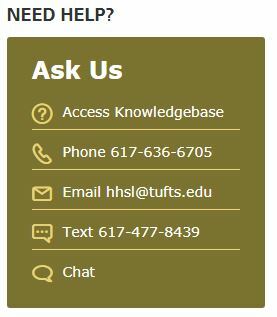 Click this to be taken to a page with all the ways to contact the library! 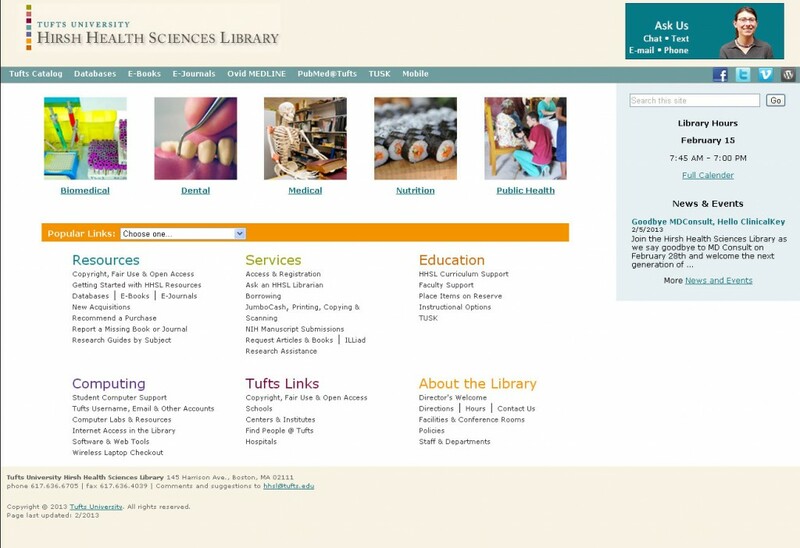 The images across the top of the page link to portals, which act as a “getting started” point for broad categories of interest to the Tufts Boston campus. The orange bar in the middle of the page highlights our list of links to the most popular library resources. Our navigation bar now highlights links to our social media accounts. Be sure to follow us! The hours and library newsfeed are now more prominent in the right column.